Of all the websites and apps providing cruising sailors and boaters with information about marinas, anchorages, and local features, ActiveCaptain is the best. All information is easily searchable and integrated with NOAA charts as well as street maps and satellite views to make trip planning easy on your computer or on your iPhone or iPad once underway. With over 100,000 boaters writing reviews and updating information, ActiveCaptain provides the most accurate and current data to make your cruising life easier and happier. 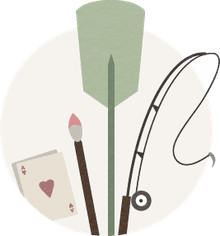 Cruising used to involve elaborate advance research and stocking the boat with expensive heaps of cruising guides providing information that was often already outdated upon publication. Just as chartplotters and electronic navigation over the last two decades replaced navigation by dead reckoning and the need to carry hundreds of expensive charts (except now as an essential backup), online resources have begun to replace printed cruising guides for essential information about marinas, anchorages, and other data needed by cruising boaters. In only a short time, ActiveCaptain has become the best online source of this information. The Interactive Cruising Guidebook is the heart and soul of ActiveCaptain. You locate your area of interest via base charts or maps or by a location name search. 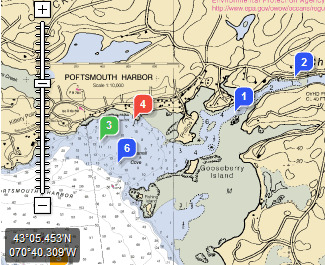 The chart/map/satellite view then shows information available according to color-coded markers for marinas, anchorages, local knowledge, and hazards - showing all or just those you choose. Just click for the details in pop-up windows. Marina and anchorage descriptions include both the essential data boaters need and user reviews and ratings that provide substantial additional information. Local knowledge and hazards information comes from multiple sources, including NOAA Coast Pilots, current Local Notices to Mariners, and boaters familiar with the area. Although this extensive database doesn't (yet) provide as much information about isolated areas and things to do ashore as in popular print guidebooks, it does provide virtually everything a boater needs for both advance planning and last-minute decisions while underway. The real strength behind ActiveCaptain is the participation of tens of thousands of boaters who take the time to submit reviews and update locale information. This "crowd-sourced" data is verified by both the administrators and other boaters, who offer corrections when needed. While reviews do include some personal opinion, the sheer numbers of reviewers for most locations result in trustworthy information. Captain registration is free and offers benefits and free products for those who earn points by submitting reviews and updates - but the quality of the reviews suggests most captains share their knowledge from a love of cruising more than these incentives. Originally available only online, ActiveCaptain has been integrated into apps for the iPhone and iPad that are downloaded and provide the data even when offline while boating. With the Charts & Tides app, for instance, you can navigate in real-time on your iPhone and access the ActiveCaptain data directly from your live chart view. ActiveCaptain is similarly integrated in the MaxSea TimeZero & Coastal Explorer navigational software packages for those using a PC. Together, ActiveCaptain and its navigational partners are changing the way many boaters find their way around the water.